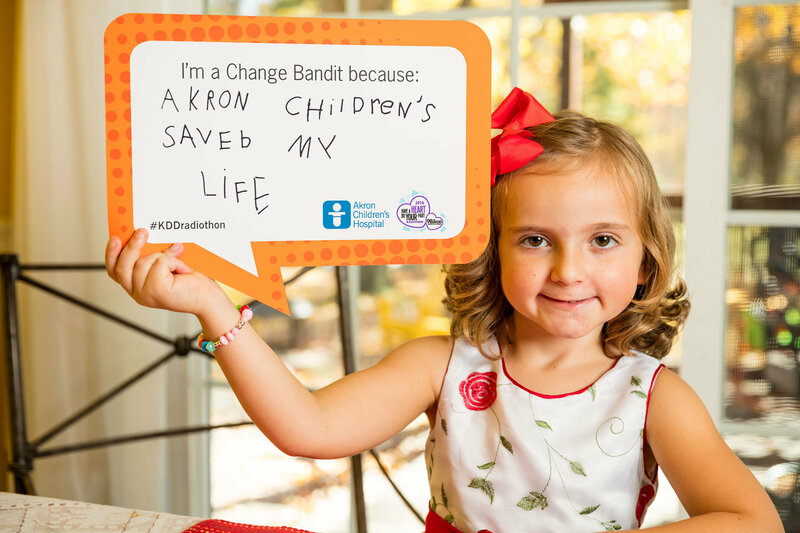 Kindergartener Fiona Smith is a grateful patient and also a Change Bandit. That’s the line 5-year-old Change Bandit Fiona Smith used last year to collect more than her weight in spare change – 36 pounds – during the annual “Have a Heart, Do Your Part” Radiothon. Fiona’s journey started 2 years ago after she fell and hit her head on the playground at preschool. Her mother, Aileen, remembers how overwhelmed she felt when she entered the MetroHealth emergency room in Cleveland and saw her daughter surrounded by doctors and nurses. After Fiona complained that her stomach hurt, doctors performed a CT scan and discovered a mass on her kidney and spots on her lungs. 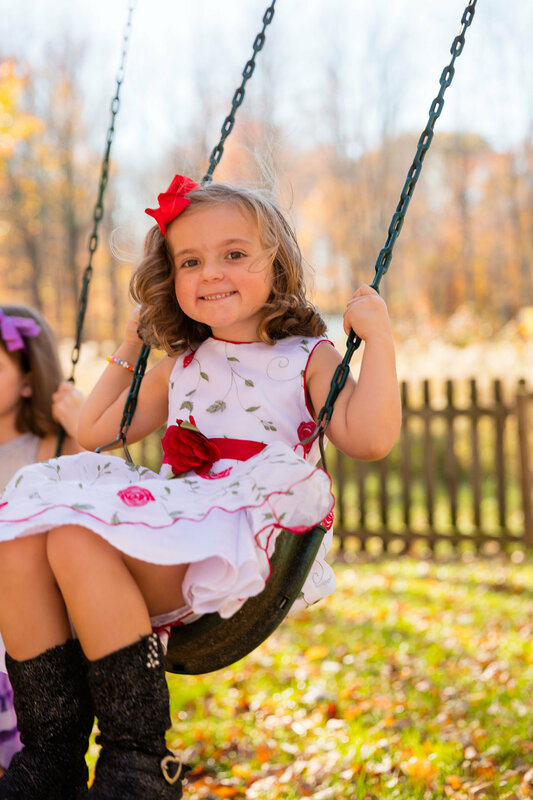 Fiona and Aileen were immediately air lifted to the Pediatric Intensive Care Unit (PICU) at Akron Children’s Hospital. Fiona was treated for Wilms’ tumor. Fiona had a rare form of cancer called a Wilms’ tumor. Due to the size of the tumor, and issues with an enlarged heart, Dr. Donna Patton and her team at Akron Children’s Showers Family Center for Childhood Cancer and Blood Disorders decided that the best course of action was to shrink the tumor with a 10-week chemotherapy regimen before removing Fiona’s kidney. After surgery, Fiona underwent treatment for another 7 months. She received an additional round of chemotherapy followed by radiation. Today, Fiona is 1 year in remission and happily attending kindergarten. She and her family try to pay it forward to Akron Children’s Hospital whenever they can – participating in Radiothon, dropping off crafts and delivering teddy bears on Christmas Eve to kids undergoing chemotherapy at the Showers Center. “We’re forever grateful to the doctors and staff for taking such great care of Fiona,” says Aileen. Hear more about Fiona’s story – and those of other patients – by tuning in to the 17th annual “Have a Heart, Do Your Part Radiothon,” broadcast live from Akron Children’s Hospital Atrium by 98.1 KDD Feb. 11-13. Click here to support the 2016 Radiothon.